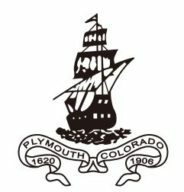 Welcome to the official website for the Society of Mayflower Descendants in the State of Colorado! The Mayflower is first recorded in 1609, at which time it was a merchant ship traveling to Baltic ports, most notably Norway1. It was at that time owned by Christopher Nichols, Richard Child, Thomas Short, and Christopher Jones2. The ship was about 180 tons3, and rested in Harwich. In its early years it was employed in the transportation of tar, lumber, and fish1,2; and possibly did some Greenland whaling4. Later on in its life, it became employed in Mediterranean wine and spice trading5. The Mayflower set sail for home on April 5, 1621, arriving back May sixth6,8. The ship made a few more trading runs, to Spain, Ireland, and lastly to France. However, Captain Christopher Jones died shortly thereafter, and was buried 5 March 1621/2 in Rotherhithe, Surrey, England7. The ship lay dormant for about two years, at which point it was appraised for probate, and its value was determined to be £128-08-04, an extremely low value (had it been in sailing condition, £700 could be expected). This probate inventory is the last record of the Mayflower. The ship was not in very good condition, being called “in ruinis” in a 1624 High Court of Admiralty record (HCA 3/30, folio 227) written in Latin. Ships in that condition were more valuable as wood (which was in shortage in England at the time), so the Mayflower was most likely broken apart and sold as scrap. There is no evidence that the Mayflower ended up as the Jordans barn, though it has become a tourist trap anyway. Mayflower was a very common ship name, and in fact numerous other ships called the Mayflower made trips to New England; but none of them were the same ship that brought the Pilgrims to America.